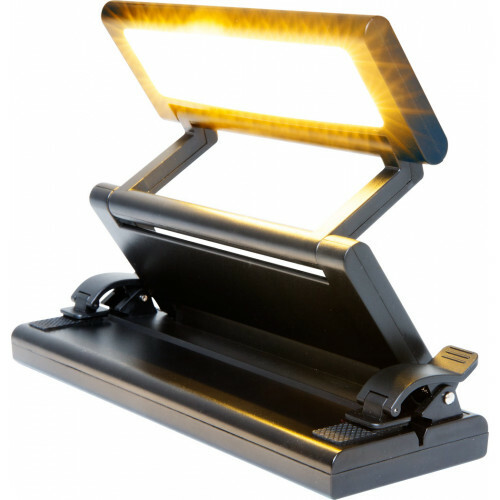 Compact and versatile LED clip light that folds for easy transport and storage. Warm white light provided by 24 LEDs with adjustable brightness settings. Rechargeable battery with included USB charging cable. Can also be powered from the included AC adapter.